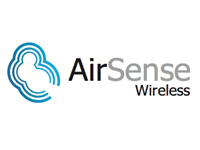 AirSense, founded in London in 2011, is a company focused on improving the mobile data experience. Its first solution, a seamless and secure 3G to Wi-Fi offload experience for smartphone and tablet users, addresses the problem of mobile data network congestion caused by unprecedented demand for 3G capacity as customers consume more mobile video, web content and applications. AirSense is currently working with leading mobile operators, video distributors and app developers to significantly improve their customer experience while driving higher ROI in serving their customers.